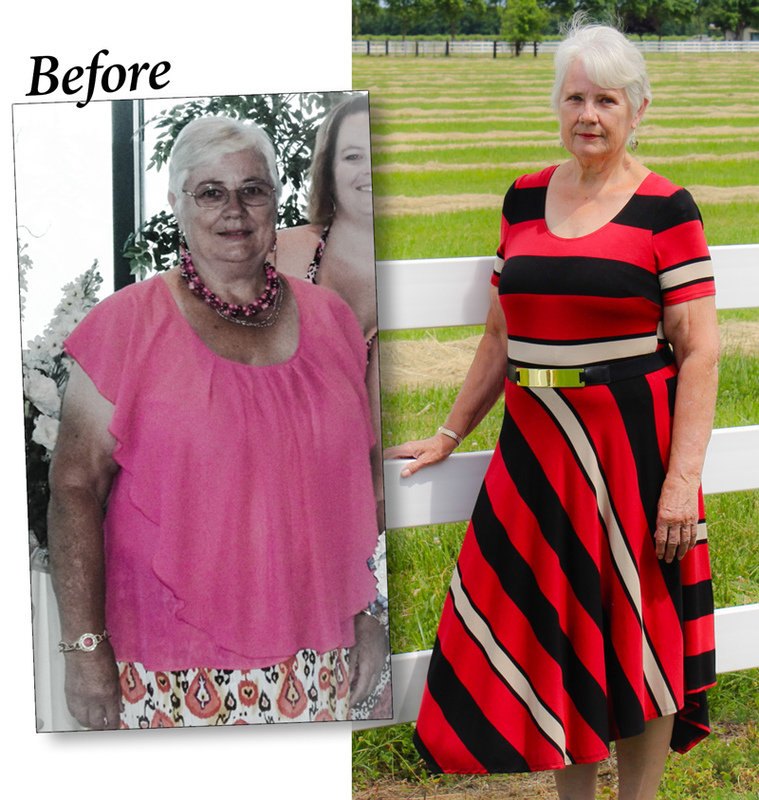 Nancy discusses her experience losing 73 pounds in 9 months at Inspire Hypnosis in Redding, CA. Nancy of Gerber says, "Weight loss was fast, easy and changed my life. Now I Zipline!" My name is Nancy. I live in Gerber. I attend The Church of Jesus Christ of Latter Day Saints in Corning. I lost 73 pounds in 9 months at Inspire Hypnosis in Redding. This is my story, it's true and factual. I was overweight at 16. Food was my best friend. My go to solution for disappointment, sadness, happiness or any other emotion that needed an outlet. If I had a problem or uncomfortable situation, I ate myself through it. You don't wake up one morning and find yourself 73 pounds overweight. It was a gradual process. Take some off. Put more back on. Over and over again. Food gave me comfort. I ate a half gallon of ice cream at a time. Whole bags of potato chips. I wasn't eating because I was hungry. I was eating for every reason except hunger. I ate too much of the wrong food, way too often and felt guilty and embarrassed. So I ate more. That's how you gain 73 extra unwanted pounds. Worse, the damage excessive weight causes is terrible. Physically and emotionally. The health risk of obesity caused constant worry. I had no energy, was physically uncomfortable with limited movement. Couldn't participate in any real physical activities like playing with my grandchildren. I've spent a lifetime searching for the answer. I tried everything — pills, gizmos, gadgets, support groups, shakes. Name it, I've tried it. Most everything worked… for awhile. I lost weight, then cravings for "forbidden" foods sent me running to my next binge. I regained what I lost and a few more bounce back pounds for my effort. I was desperate and had to face the facts. Obesity at my age is dangerous. I needed help and I knew it. I had to get my life back NOW. My daughter-in-law saved the day. She told me about an awesome TV commercial she saw where people had lost weight with hypnosis. She gave me the number to Inspire Hypnosis in Redding, California. I called and scheduled an appointment for Inspire Hypnosis' free hypnotic screening. Fees, policies, hypnosis, everything was explained and my questions were all answered. No hard selling, information only. I felt good about it and enrolled in Inspire Hypnosis' weight loss program. I attended my first session with mixed feelings of excitement, anticipation and a reasonable amount of skepticism. My skepticism dissolved when my hypnotist suggested my eyes would not open. I tried to open my eyes. Nope. Wouldn't open. That's when I became a believer. You open and close your eyes thousands of times every day without effort, intention or forethought. It doesn't take a rocket scientist to figure out if hypnotic suggestion can influence the simple act of opening your eyes, then what kind of impact can it have on eating behavior — 73 pounds lost in 9 months! My weight loss was much easier than I anticipated. Matter of fact, it's the easiest way I ever lost weight because it's not a diet. Nothing is forbidden. No counting calories. No weighing or measuring portions. You don't have to worry about injuring yourself with grueling exercise. When I started my program I was in no condition to exercise at all. Inspire Hypnosis had the answer. I started walking 20 minutes a day and gradually increased the time over the course of the program. What I liked about it, it was doable, enjoyable and I continue to this day. I simply changed the way I thought about myself and my relationship with food. I continued to eat my favorites. After a couple of sessions I noticed a definite change in my food preferences. Now I eat when I'm hungry. Enjoy it more and stop when I'm full. It really is that simple. I should mention I still eat ice cream, chips and get the occasional pizza. Results are what I wanted when I signed up for hypnotic weight loss and that's exactly what Inspire Hypnosis delivered. RESULTS! I lost 73 pounds 18 months ago. For the first time in my life I'm keeping weight off with no problem. I lost about four pounds the first week then I averaged two pounds per week or about eight pounds a month when I reached my goal. Since losing 73 pounds my outlook on life has completely changed. Now I'm physically comfortable and active. I play with my grandchildren. I go biking and kayaking. I couldn't even get into a Kayak before. But that's not the best part. I even Ziplined with my daughter in Oklahoma! My new life also required a new wardrobe. Imagine my delight and excitement when I reached my goal weight and donated every remnant of my former fat-self wardrobe to Goodwill. I went to Sacramento and spent the entire day buying my new size wardrobe top to bottom. What a memory that is. I enjoy dressing up and going out. Life is fun and exciting. No more embarrassment, no more guilt or hiding in the back row in photos. Life is more with less weight. I'm a real person. My results are documented. I'm not being paid anything to tell you my story. I'm doing so in hopes that my story will help convince anyone who suffers from obesity to consider hypnotic weight loss at Inspire Hypnosis. I would have paid many times the cost to enjoy the results Inspire Hypnosis delivered. Services are affordable. Results were exceptional. That's why I recommend Inspire Hypnosis without reservation. It's the smart choice. Inspire Hypnosis offers a free 30 minute hypnosis interview. You meet with your hypnotist and discuss your problem. When you qualify for hypnosis a weight loss program is recommended that fits your lifestyle and most budgets. Call (530) 387-6644, schedule your free hypnotic interview today. It's the first step to living a fat free life. I'm living it now. So can you!